Foot problems are known all over the world. In almost all developed industrial nations the percentage of older people has been rising and therefore also the need for suitable shoes and aids for foot problems. Also the symptoms of diabetes concerning the foot are known in different countries worldwide – not only in industrialized nations. Specialized knowledge and skills in the treatment of the foot are needed on a worldwide scale. In some countries orthopedic shoemaking/pedorthics has already a tradition. Orthopedic shoemakers/pedorthists are valued partners of physicians in the treatment of all kinds of foot disorders. Health insurance funds take over the costs for the treatment. However in many other countries orthopedic shoemaking/pedorthics is hardly known and there are no sufficient education structures supplying the basis for a highly qualified treatment of the foot. Often also the recognition of the profession by health insurance companies and by politics is still missing. »foot & shoe« is the only English journal for all professions working with shoes and feet. 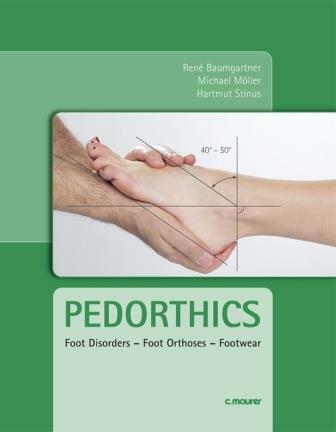 Since its first publication in 2010, at that time still the English edition of the recognized German journal “Orthopädieschuhtechnik”, »foot & shoe« established itself internationally: Worldwide more than 2000 craftsmen, physicians and scientists read »foot & shoe« regularly, further 1500 copies are distributed at events like congresses and trade fairs. »foot & shoe« is published twice a year. With the help of the newsletter, published four times a year in cooperation with the International Association of Orthopedic Shoe Technicians (IVO), the journal reaches a steadily growing readership (right now there are more than 900 subscribers of the newsletter). »foot & shoe« would like to contribute that foot specialists in the various countries can exchange information and can learn from each other, whether it be the practical side of the treatment or the establishment of professional structures in the education and the representation of the profession. »foot & shoe« shows on the one hand practical solutions for foot problems, but it is also dedicated to the transfer of knowledge into practice. The existing knowledge about the best treatment and care should be made available on a world-wide scale. That is the reason why »foot & shoe« will also become a platform for scientific publications in the future. The first steps towards a quotable, internationally accepted journal have been taken already. A peer review process has been introduced for the section "science" for the quality assurance of the articles. The publications within »foot & shoe« are aimed at improving the treatment of foot diseases and helping to put the treatment and care concepts on a scientific basis. We are looking forward to receive specialized articles about foot treatment. The journal encourages submissions from all health professionals who manage lower limb conditions, including orthopedic shoemakers, pedorthists, podiatrists, nurses, physical therapists and physiotherapists, orthopaedists, manual therapists, medical specialists and general medical practitioners, as well as health service researchers concerned with the foot. We also would be very happy to receive suggestions about how we can further develop our publication, so that it really becomes a communication platform for the international community of foot specialists. Help us to link the international community of foot specialists. Tell other people from this line of business about »foot & shoe«!